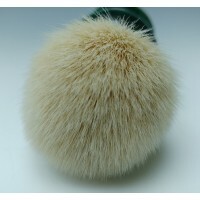 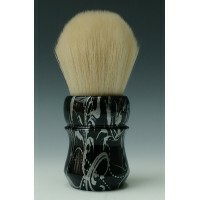 A Cadman Synthetic brush handmade handle turned in the M55 with the handle having the Black and Silver Pearl. 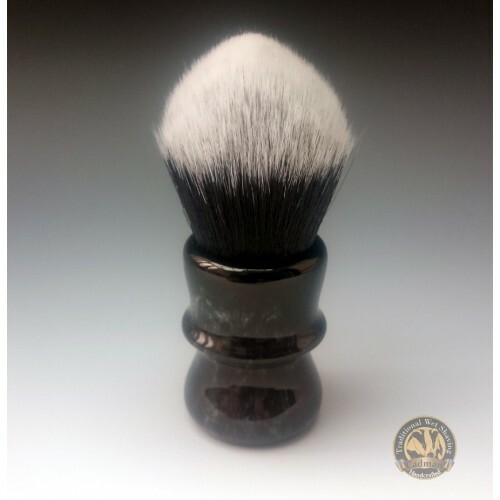 The Cadman Synthetic Tuxedo brushes are now available in 30mm knots and 24mm knots, the fibres on the Synthetic brushes are just amazingly soft. 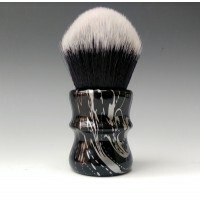 I am constantly placing orders on the Tuxedo knots due to their popularity, so there might be a 14day delay...thereabouts. 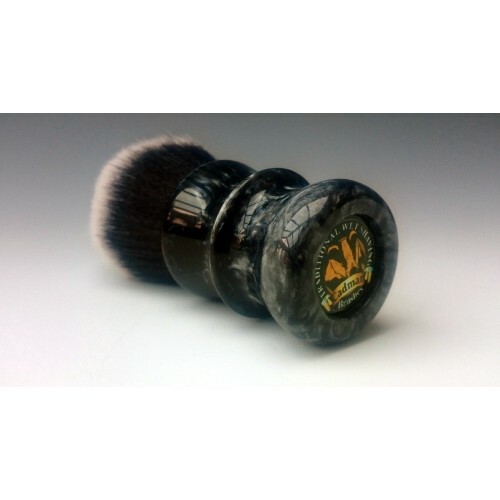 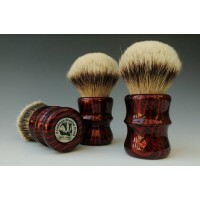 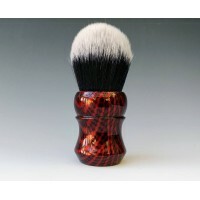 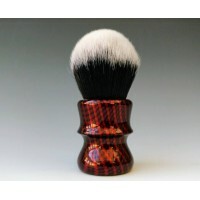 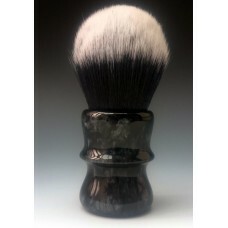 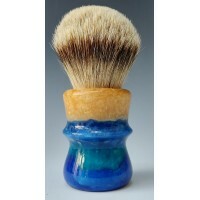 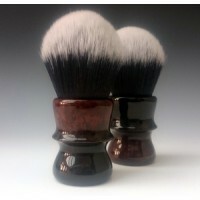 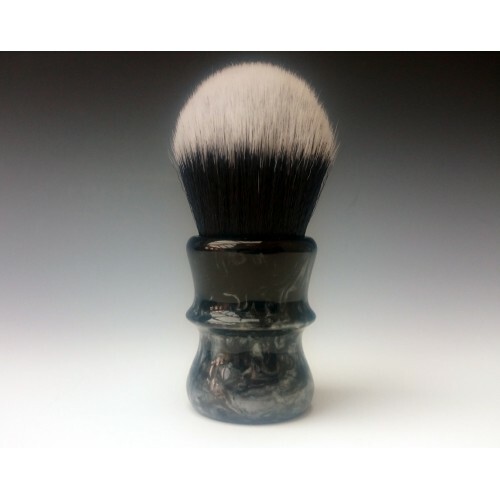 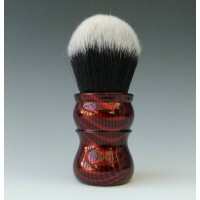 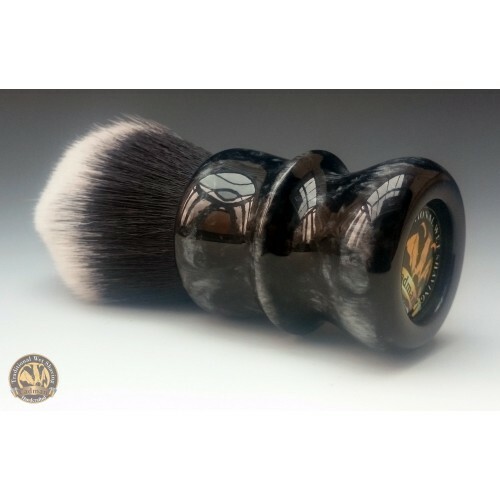 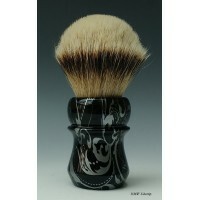 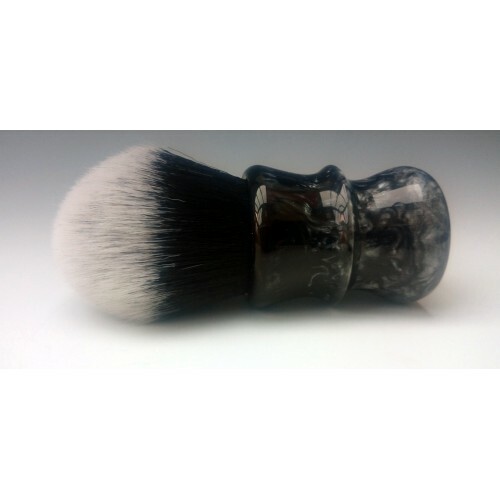 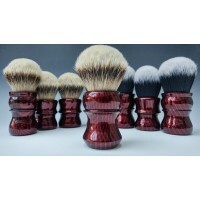 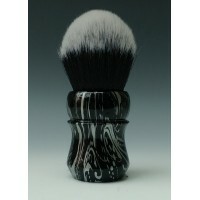 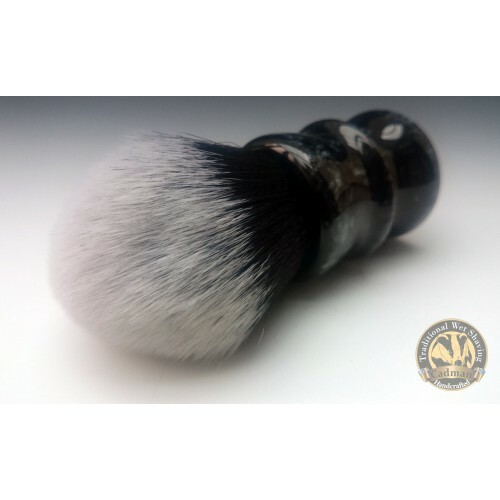 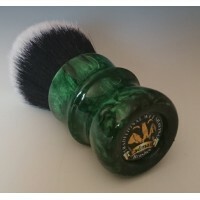 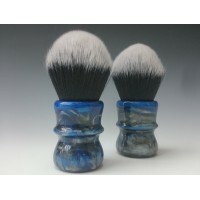 A Black & Silver M55 shaving brush handle, hand cast and turned entirely by hand, incorporating the Synthetic 30mm Tuxedo hair.